To get started with Your local WordPress installation you will need a software named XAMPP. And the latest release of WordPress. 5. Click on phpmyadmin to create a database for your WordPress. 6. Go to http://localhost/wordpress and click “Create a Configuration File”. 7. Now Enter the details as alluded below. 8. Click on “Submit”. On the next screen click on “Run the install”. 9. Now add your Site Title, Username, Password, Email. The privacy option won’t matter as you are working on localhost. 10. On the next screen click on “Login”. Login with the username ‘admin’ and the password you have chosen. 11. Now you will be taken to your Dashboard. Whoa! 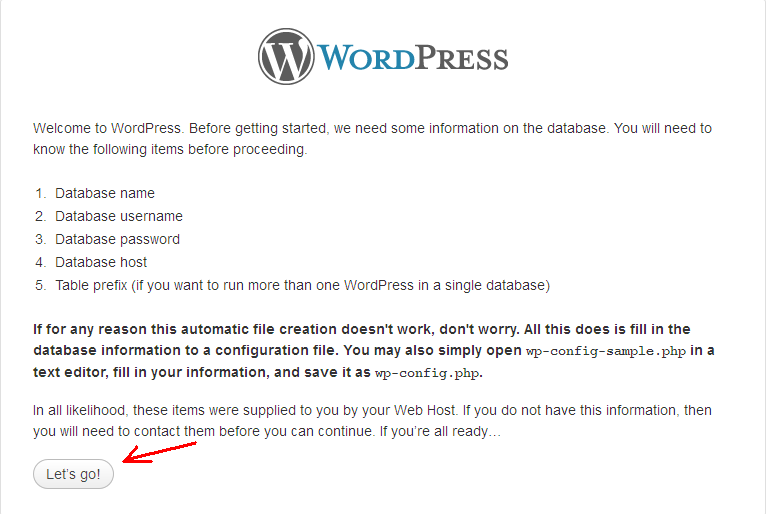 You have just installed WordPress on your local host. Now upload themes and plugins. Try customizations as much as possible. Do everything you need. Test your plugins or themes locally before using them on your live blog. If you found this post helpful share it with your friends. Don’t forget to Subscribe to RSS feed for updates.